Rapunzel can throw a knife better than any man around. And her skills as an artist rival those of any artist she’s met. But for a woman in medieval times, the one skill she most desires is the hardest one to obtain: the ability to read. After yet another young man asks for Rapunzel’s hand in marriage, Mother decides they need to move once again, but this time to a larger city. Rapunzel’s heart soars—surely there she can fulfill her dream. But Mother won’t let her close to a man. She claims that no man can be trusted. After being rescued by a knight on the road to the city, and in turn rescuing him farther down the road, Rapunzel’s opportunity arrives at last. This knight, Sir Gerek, agrees to educate Rapunzel in order to pay back his debt. She just has to put up with his arrogant nature and single-minded focus on riches and prestige. But this Rapunzel story is unlike any other and the mystery that she uncovers will change everything—except her happily ever after. According to the ABC series “Once Upon a Time” character Mary Margaret Blanchard, fairy tales are classic stories because they give people the ability to hope. Mary Margaret, whose alter ego, Snow White, is the epitome of hope in the epic fairy tale mash up, (“blanch, in various languages, translates to “white”), persistently demonstrates the positive qualities that make these stories beloved by so many: kindness, goodness, gentleness, strength, and love. Snow White’s counter-part German princess, Rapunzel, has yet to visit Storybrook or the Enchanted Forest in “Once Upon a Time,” but after reading The Golden Braid I think I could make a strong case for bringing her storyline into the show to ABC Studios. No one writes better fairy-tale retellings in the CBA than Melanie Dickerson. While I openly admit that that statement is my own humble opinion, social media indicates that most readers of Christian fiction say the same about this prolific author. 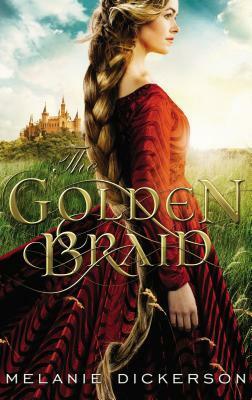 The Golden Braid is the latest of Dickerson’s young adult Hagenheim Fairy Tale series set in Hagenheim, Germany. While I am sad to say–because I loved visiting Hagenheim with some of my favorite princesses–that this is the final novel in the series, The Golden Braid is a beautiful story that completes this series in an exciting and thought-provoking manner. Rapunzel is a fiery and independent leading lady, and The Golden Braid inspired me to consider my role within my family and society as she did the same back in medieval Hagenheim. Desperate to achieve great things and better herself, Rapunzel’s desire to learn to read really made me think about how much I take for granted the gift of learning, reading, purchasing books, and attaining an education. Despite the challenges in front of her as a single women in a medieval society, Rapunzel focused on her goals, took charge of her life, and made her dreams happen. Dickerson’s ability to inspire and encourage me through the authenticity of her writing–both with characters and story–has made her one of my favorite authors. Dickerson wove a sweet romance into The Golden Braid that parallels the action and adventure of Rapunzel’s story. Sir Gerek’s bravery is just the kind of behavior you can imagine of knights during the medieval period. The relationship between the two leading characters is real and true to both historical details of the time as well as the ages and responsibilities of the hero and heroine. The details on medieval Hagenheim enhance the romance between Sir Gerek and Rapunzel, with their relationship evolving naturally around the restrictions of the time period. Dickerson’s story also shines with the theme of family intertwining beautifully between the romance and main plot of The Golden Braid. I truly enjoyed this rendition of the Rapunzel story and plan to recommend The Golden Braid to anyone who enjoys fairy tale retellings. My preference for fiction centers on adult literature, so I did notice the distinction in reading level and would most likely recommend The Golden Braid first to teenage readers and then adults. Fans of medieval fiction and YA fiction written by Jody Hedlund, Dina Sleiman, and Rachelle Rea will love Dickerson’s YA medieval fairy tales, especially The Golden Braid. Melanie Dickerson is the author of Medieval fairy tale retellings, including The Healer’s Apprentice and The Merchant’s Daughter, both Christy Award finalists, winner of The National Reader’s Choice Award for 2010’s Best First Book, and winner of the 2012 Carol Award in Young Adult fiction. She earned her bachelor’s degree in special education from The University of Alabama. She has taught children with special needs in Georgia and Tennessee, and English to adults in Germany and Ukraine. 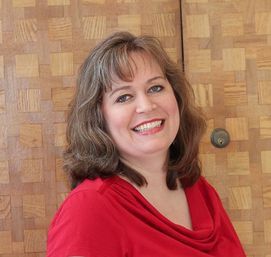 Now she spends her time writing and taking care of her husband and two daughters near Huntsville, Alabama. Visit her on the web, Facebook, Twitter, and YouTube.